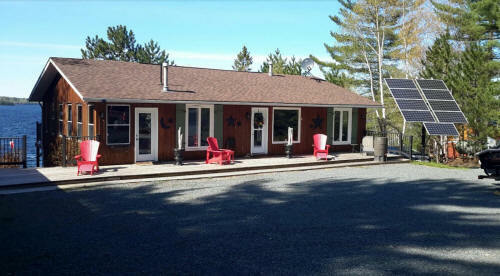 Has been entirely renovated over the past 2-years with over $250,000.00 spent and is move-in ready for a new owner. 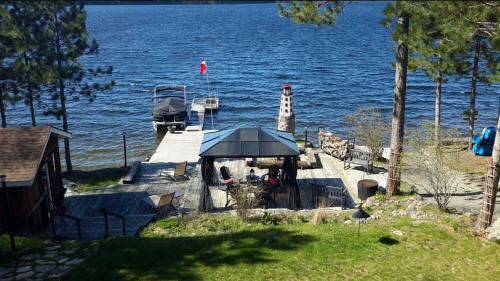 This 4 seasons home/cottage has a walkout with 2400 square feet on 2 levels, with 135 feet of private, clean waterfront on an estimated 1 acre well-landscaped lot. 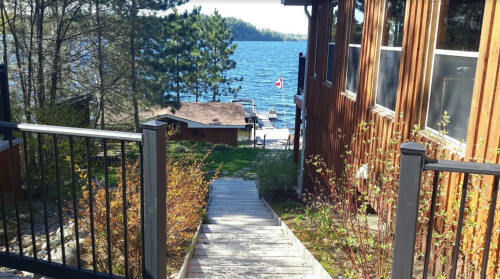 The living space has 3 good size bedrooms, 2 complete bathrooms in addition to a summer washroom with running water down by The Lake used during summer months. 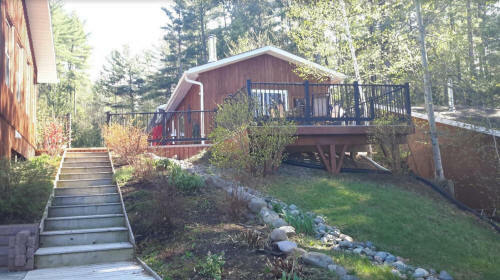 In addition to the main living quarters, there are 4 other separate buildings on the property, which includes a summer kitchen with propane stove, utility room and workshop/complete sauna with change room and sitting area/2 car garage/outside summer washroom with running water. 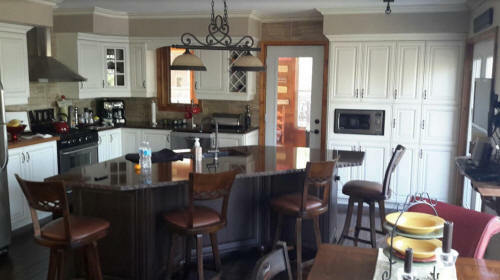 ALL RENOVATED WITHIN THE PASS 3 YEARS MOVE IN CONDITION INCLUDING NEW ROOFS ON ALL BUILDINGS, SPENT OVER $250.000.00. 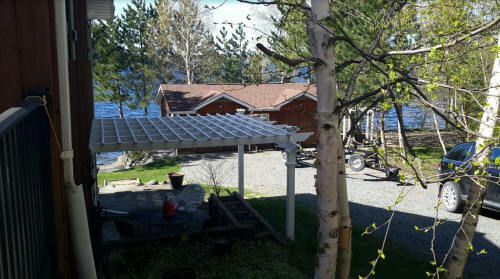 A must see if seeking a waterfront property off the grid, professionally INSTALLED and functional solar system, with a plowed road to the entrance of the property. 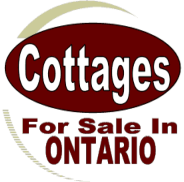 Operating cost, taxes are only $1200.00 a year, heating propane and wood (#3 wood stoves) estimated at $2500.00. 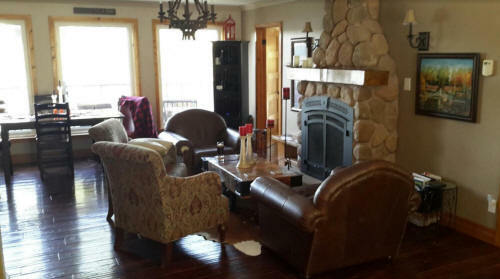 Great fishing and hunting with multiple Lakes and Rivers that connect to The Lake and close approximate to several others. 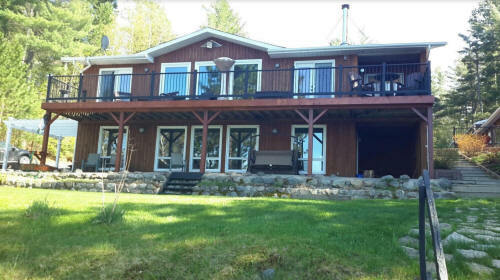 Don’t miss the opportunity to own this little piece of paradise, call for a viewing, you will be amazed at the great value and opportunity being provided.